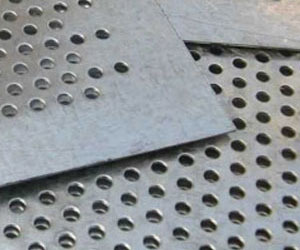 At Industrial Mesh supplies, we supply Perforated Plate. It is a brilliant source of achieving sustainable design objectives. Perforated Plate is very versatile. It can be used for lightweight decorative elements and load-bearing structural components. Perforated plate offers unique opportunities to combine strength, as well as functionality and beauty. Perforated Plates are mostly manufactured in carbon steel, but can also be manufactured in aluminium and stainless steel. Aperture sizes ranging from 3 mm up to any aperture depending on the request of the customer. We can do any perforation required in sheets up to 8 mm thick. Typical Plate Sizes are as per clients request. 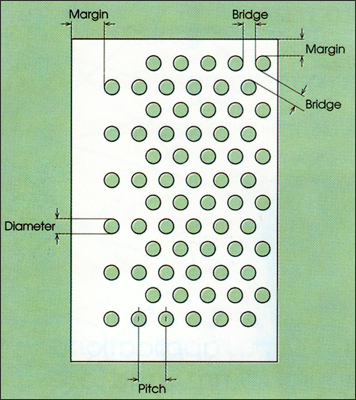 Various perforations are punched from a selection of materials and varying in thickness from 0.5mm to 6mm. Other perforations include decorative patterns for architectural purposes. For more information on our products and services, please feel free to contact us at any time!